Sponsored post: One misconception people have about motor vehicle accidents is that “It takes two” – two or more vehicles to justify a claim. Some drivers are embarrassed to say they were injured while sitting alone in their cars – as if it makes them appear foolish. In truth, there are several major categories of single-car accidents – many of which involve negligence by a third party, even there’s no third party visible. A truck drops material on the road and drives on. You hit the lumber, or gravel, or boxes of merchandise and lose control. It’s a single vehicle accident because the truck is long gone. The “phantom collision”: another driver forces you off the road and into a utility pole without realizing it, and speeds away. 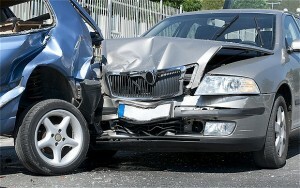 Not every single-vehicle injury leads to a claim. If you fall asleep at the wheel and drive into a tree, that’s probably on you. What sets these accidents apart is that you don’t file a claim against the other party’s insurance carrier. Instead, you present claims to your own insurer. That’s when it’s advisable to have an experienced personal injury attorney on your side and ready to go to bat for you.